Hot, breezy days have people lining up to get their next custom summer board. Here’s a pair of Classics on the lamination rack. Both boards are resin tint, with resin tint deck inlay. Traditional lap-line, pinline will be added after hot-coat. 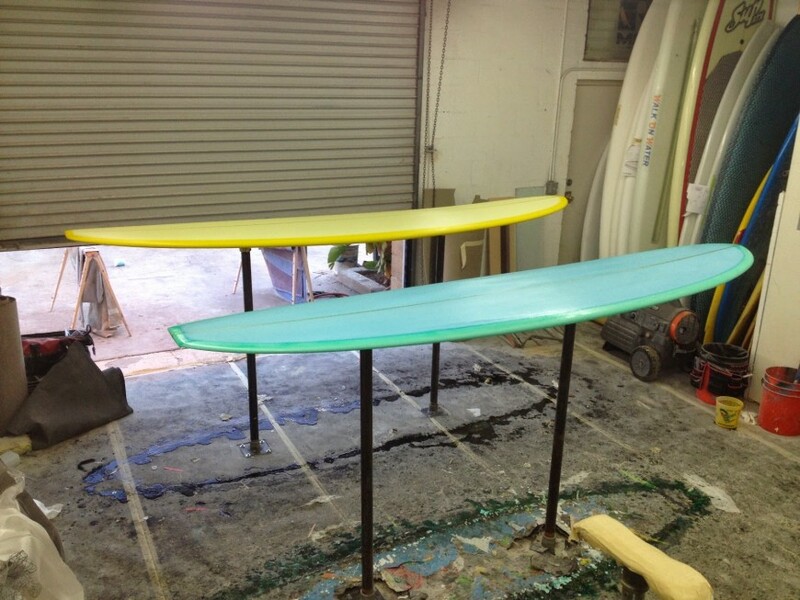 Old school lamination to match the feel of old school 50/50 rails and single-fin glide. A couple of more Classics in the wings, including a triple-stringer and one for yours truly…errr, the shop, I mean. Don’t get caught without a log for the summer, order your Classic today.